Purchasing seamless gutters from MR. FIX-IT™ for your home in the Fredericksburg, Virginia, area, can help to improve its curb appeal and minimize necessary maintenance. That’s because unlike standard gutter systems, our seamless gutters are made out of single pieces of highly durable aluminum alloy, then wrapped around your home’s roof, creating a single strip with no gaps, rivets, or fasteners. 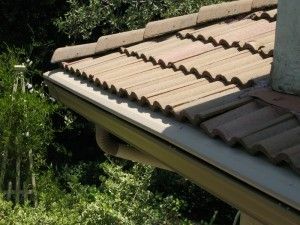 As a result, these gutter systems will not only create a more unified and attractive exterior for your roof fascia, they’re also unsusceptible several problems associated with normal gutter systems. Plus, our highly trained professionals will size and extrude your seamless gutter system to precisely fit your home. Our team of installers will bring a gutter machine to your residence, take all necessary measurements, and then feed a coil of metal through the machine, creating gutters perfectly sized to fit the dimensions of your roof. Once the new gutters are created, our team will use their roofing expertise to affix them carefully and precisely to the perimeter of your roofline. To learn more about the seamless gutters we provide and install for homeowners in Fredericksburg, VA, contact MR. FIX-IT™ today.